See Beyond OK-Therapy (Ortho-k) is here! Contact lenses by night, clear sight by day! You asked ( and asked, and asked) and now here it is! Orthokeratology – Available Spring 2017. 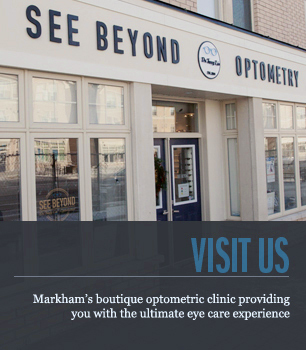 See Beyond is a boutique optometric clinic nestled in the upper west corner of Markham’s Cathedraltown. 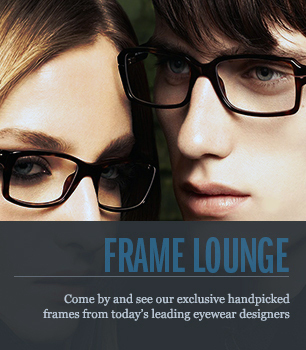 We are here to provide the residents of Markham and its bordering neighborhoods with the ultimate eye care experience. 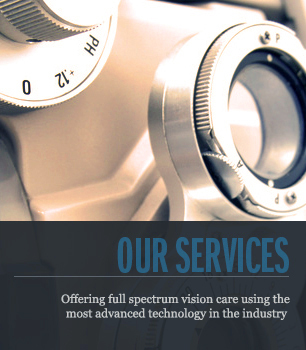 All of your visual needs are met here with detailed precision and tailored to your uniqueness. Our atmosphere is open and friendly and our recommendations are comprehensive, taking into account all of your daily activities — from home, to office, to play. Contact our clinic today to find out how we can help you. Closed 2pm - 3pm weekdays for lunch.